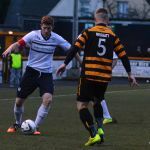 Raith Rovers stretched their unbeaten sequence to four matches, as they ground out a 0-0 draw at the Indodrill Stadium against Alloa Athletic. 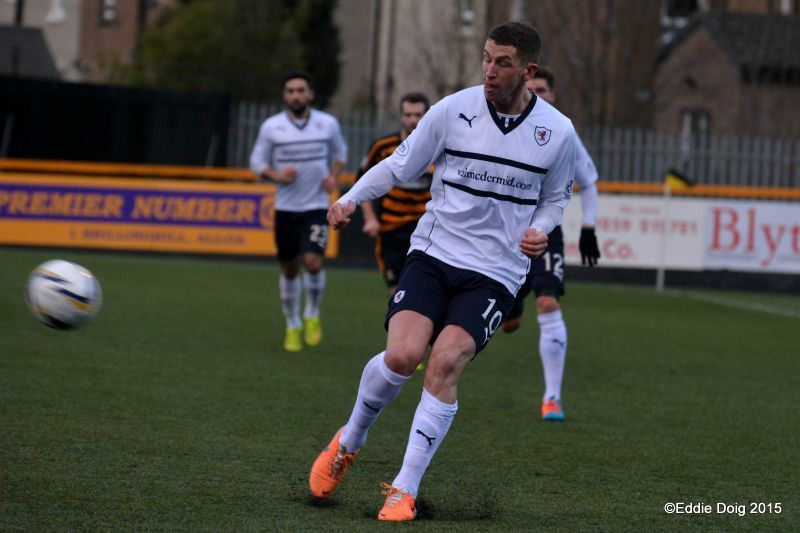 Manager Grant Murray went with the same starting XI which began last weekend’s 2-1 win over Dumbarton, but while that match was prominent for Raith’s excellent start, the same couldn’t really be said of this one. 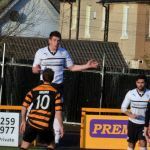 Alloa were arguably out the blocks quicker, but neither side looked particularly adept in the opening stages, and the general lack of control from both teams was summed up by the ball being blootered into the parking area of the adjacent KFC restaurant. 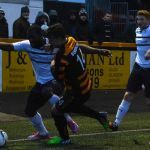 It wasn’t lacking in endeavour, with Ross Callachan snapping and snarling into challenges in the middle of the park, and the play was reasonably end-to-end, but it was all a bit thud-and-blunder. In a match that was high on half-chances, it was Rovers who encountered the first one, although it was the home side who fashioned it for them. Kyle Benedictus made an uncharacteristic error, gifting possession to Mark Stewart, although the defender made amends and cleared the danger. 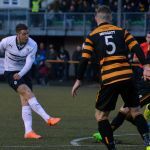 Alloa also created the next chance, but this time it was for themselves, when Graeme Holmes managed to pick out Kevin Cawley, but the midfielder’s shot was blocked. 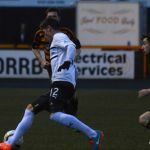 Holmes had started the match brightly, and he was involved again soon after, teeing up Liam Buchanan, who hit a first-time half-volley just past David McGurn’s left-hand post. Rovers did however start to impose themselves the longer the half went on. Dougie Hill sent a header into the side-netting from a Rory McKeown throw, then good work from Anderson down the wing, amounted to little after his cut-back was intercepted. The same player then flashed a shot wide after getting into a good position, and suddenly, after an indifferent start, Murray’s men looked to be the more dominant side. 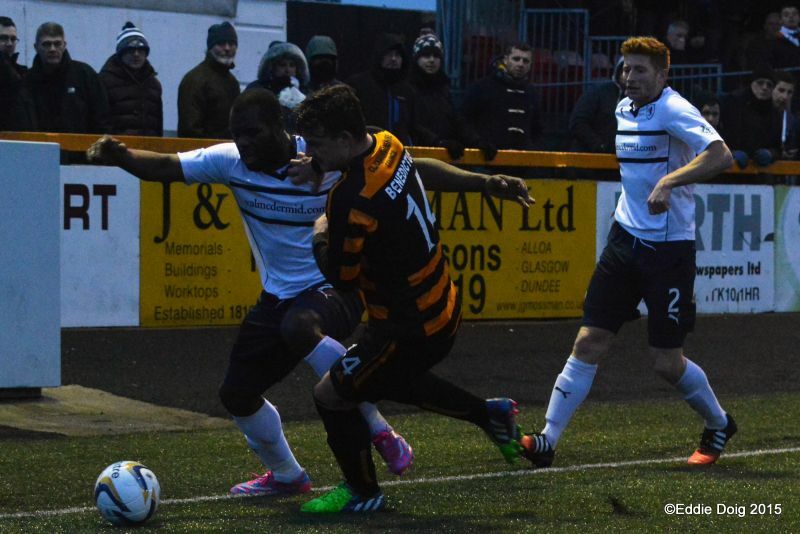 That said, Alloa almost took the lead after half-an-hour. 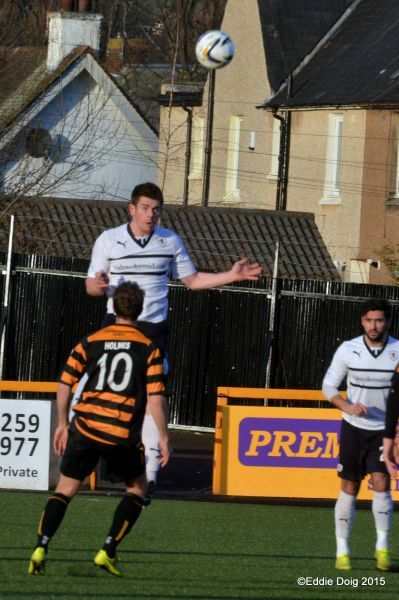 Ex-Raith player Stephen Simmons found Ryan McCord in the box, and while his attempt was blocked, the rebound fell to Mark Docherty, whose volley was headed over by Hill. 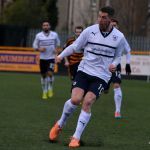 As the opening period was drawing to a close, Raith squandered a golden opportunity to go into the interval with a slender advantage. 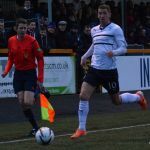 Good work on the left by Calum Elliot, allowed him to play in Mark Stewart, but he seemed caught in two minds whether to shoot, or play in a colleague, and the chance was spurned. 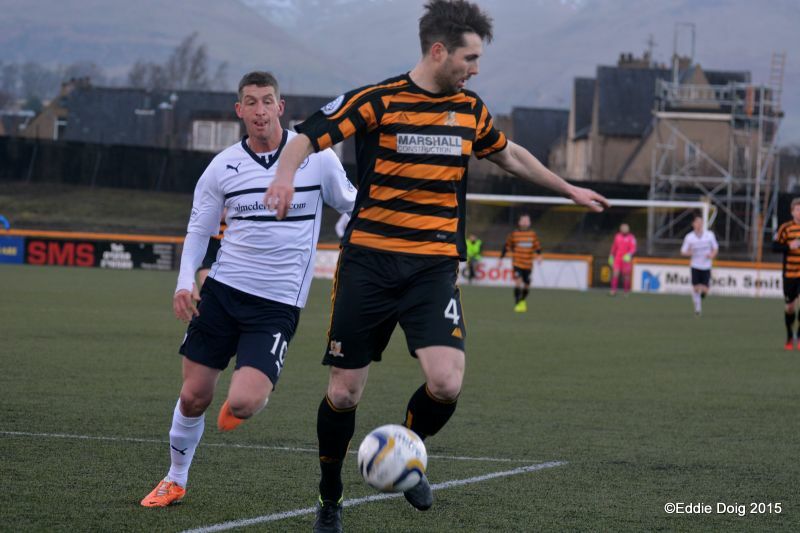 Alloa started on the front foot in the second half, with McCord shooting just wide of the target from a tight angle, before Darryll Meggatt did exactly the same, although his 30-yard effort looked to be heading in when it left his boot, although McGurn appeared to have it covered. 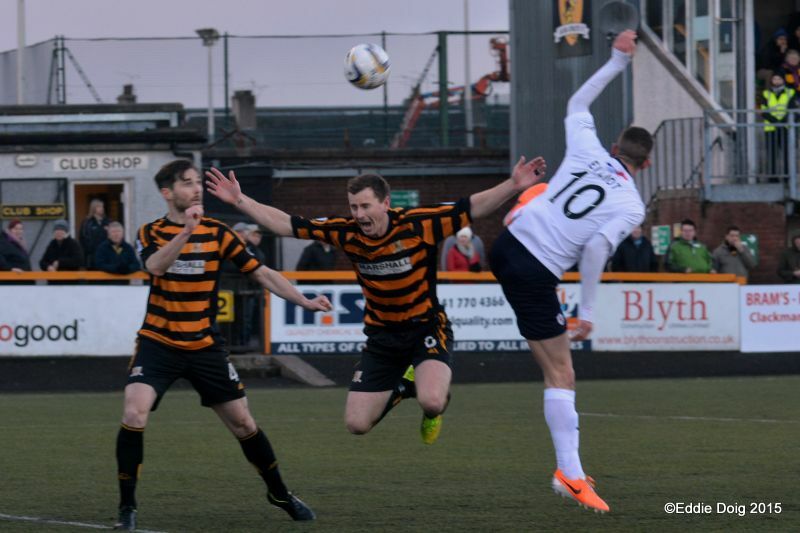 With Alloa now on top, Mark Docherty was the next to have a go, but his attempt was blocked by Elliot’s leg, which on a chilly Clackmannanshire afternoon, must have provided the forward with quite the sting. 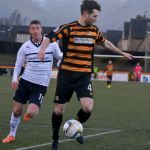 McCord was constantly making himself available for the Wasps, although at times his final ball was sloppy and wasteful, as was shown after an hour, when his wild shot was shanked over the bar after good work by Buchanan. A few minutes later, and with Rovers showing little forward momentum, Elliot was replaced with Christian Nade. He almost made an immediate impact, when Paul Watson nodded a Conroy free-kick down to him inside the area, but his goalbound effort was cleared off the line by Simmons. Rory McKeown then had to do the same thing at the other end, when a Docherty set-piece was won in the box by Simmons, but the Northern Irish under-21 international managed to block Buchanan’s close range attempt. 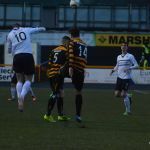 Although Nade had added some much-needed vim and vigour up front, it was still the home side who were in the ascendency, and while they looked the likelier to score, the Raith rearguard defended stoutly, with the minutes ticking away. 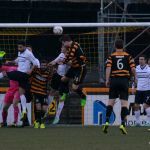 Buchanan managed to pop up on Alloa’s right-hand side, and he picked out Cawley in the area, but his attempt was ferreted wide. 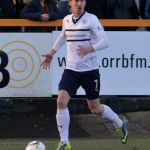 Grant Murray made his second change with ten minutes remaining, with Barrie McKay coming on for Ryan Conroy, but the momentum of the match remained the same, with Raith’s attacks being snuffed out at the source. Paul Watson had to be alert to intercept a Buchanan cut-back, with substitute Greig Spence waiting to pounce, and there was a scare at the end, when Simmons injury-time shot from distance, whizzed just past the post. In truth however, it was a match where neither side did enough to merit taking all three points, but the shared spoils did do some good for both teams. 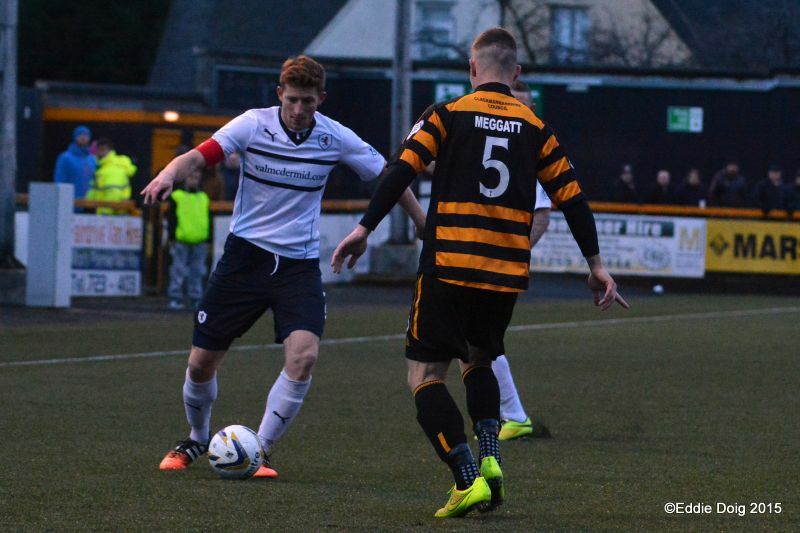 Rovers moved further clear of Dumbarton, while Alloa moved within striking distance of ninth placed Cowdenbeath. Rovers unbeaten run will get its biggest test yet next week, when they travel to Easter Road, to play Hibernian. Welcome to the Indodrill Stadium, the sun is out and hardly any wind to make a difference. David McGurn makes his 227th appearance for Raith Rovers, equalling Jimmy Brown in third place for most appearances for a goalkeeper. 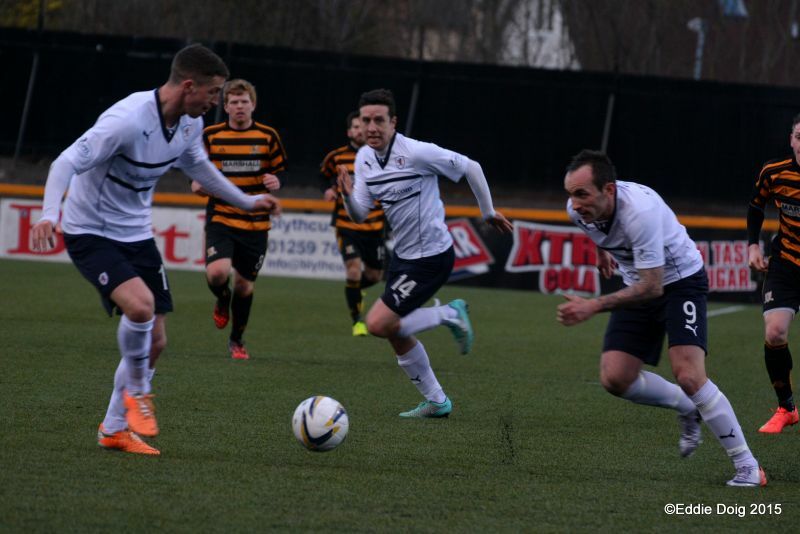 Raith in white kick off towards the main road. Elliot with early pressure, almost making the keeper miss hit his clearance. 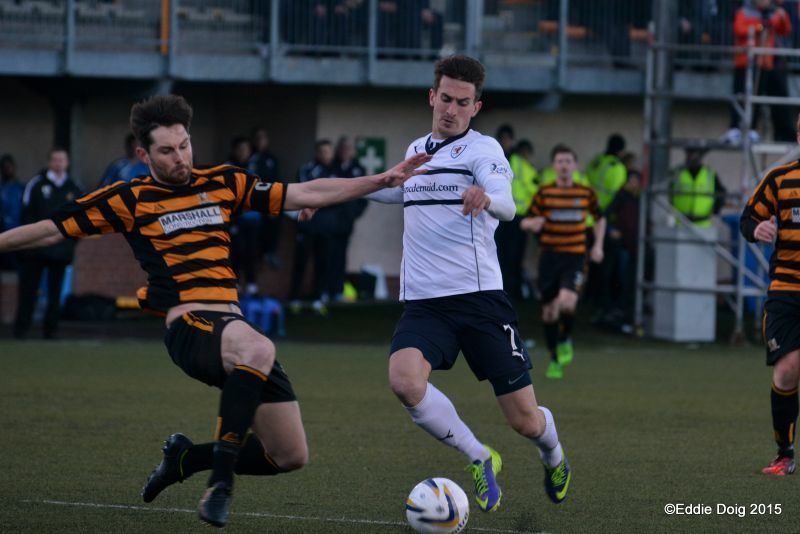 Elliot and Callachan combined well to hold up the Alloa attack. 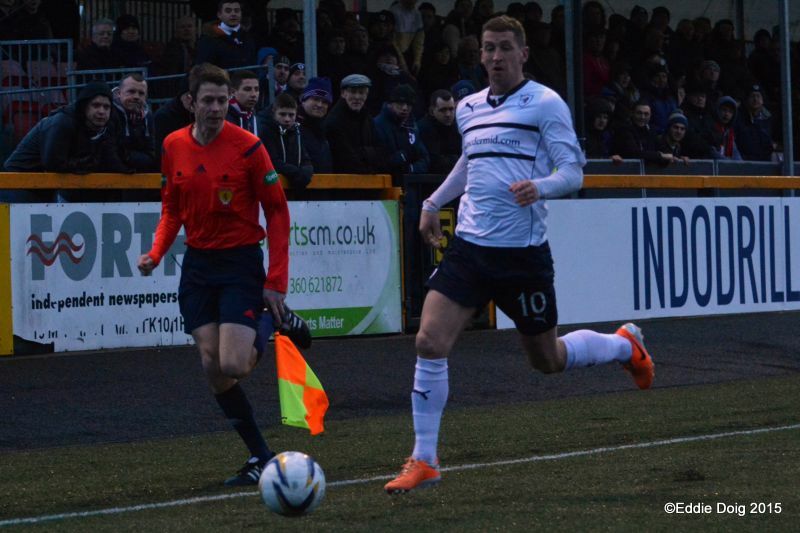 Thomson anticipated Buchannan's run and ushered the ball back to McGurn. 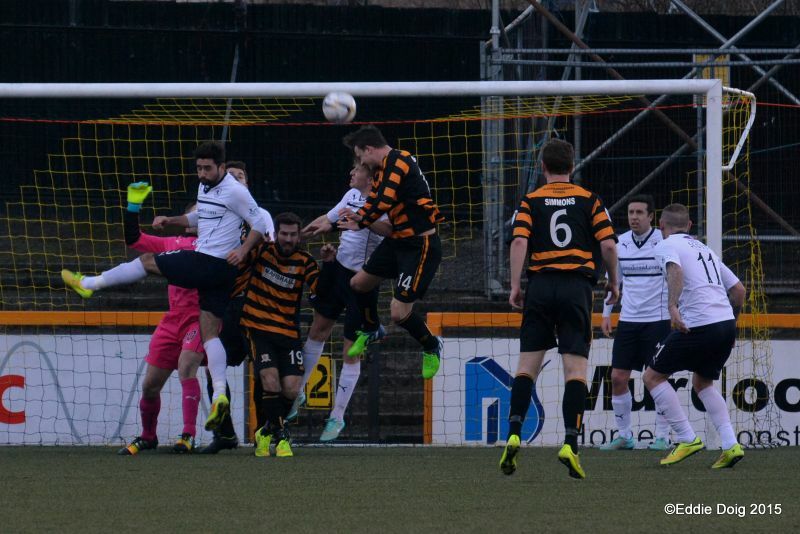 Ross Callachan from all of 35 yards forcing McDowall into a low save which he spills and then recovered. Anderson holding and dribbling the ball up the right comes undone against Gordon. 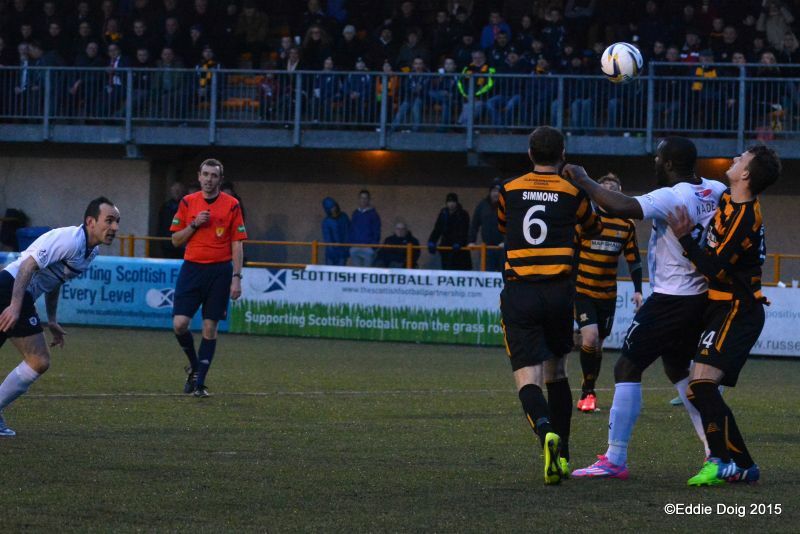 Anderson crosses from the right, the ball is intercepted and up the park for a spell of Alloa pressure. Rovers receive some vocal support from the travelling fans. Thomson crosses, the ball evaded Elliot, it is recycled and yet again Elliot just misses the header. 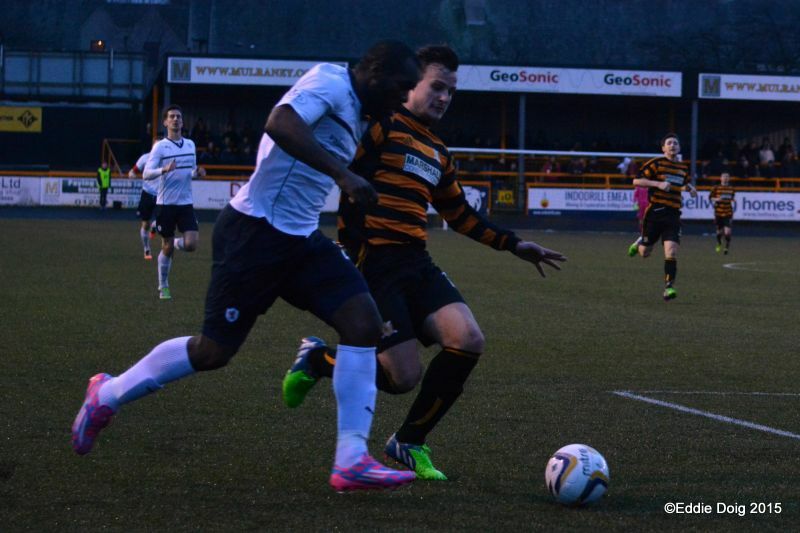 Buchannan tries his luck with a shot across goal, the ball going past McGurn's left post. 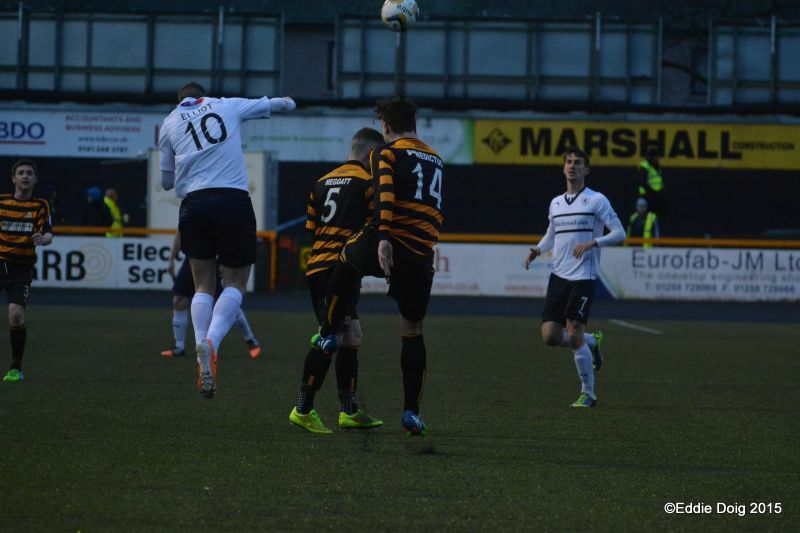 Alloa with a free kick, Meggatt nearly sending the ball onto the railway line. Buchannan crosses and finds Holmes but his header was always destined to go well wide. Meggatt with no pressure gives away a corner, which was hastily taken and cleared. Stewart and Thomson with half chances see the ball cleared. McKeown with a long throw finds Hill who tries an 'Anderson' but the ball goes behind for a bye kick. An 'Anderson' is the famous back header for those that didn't know. 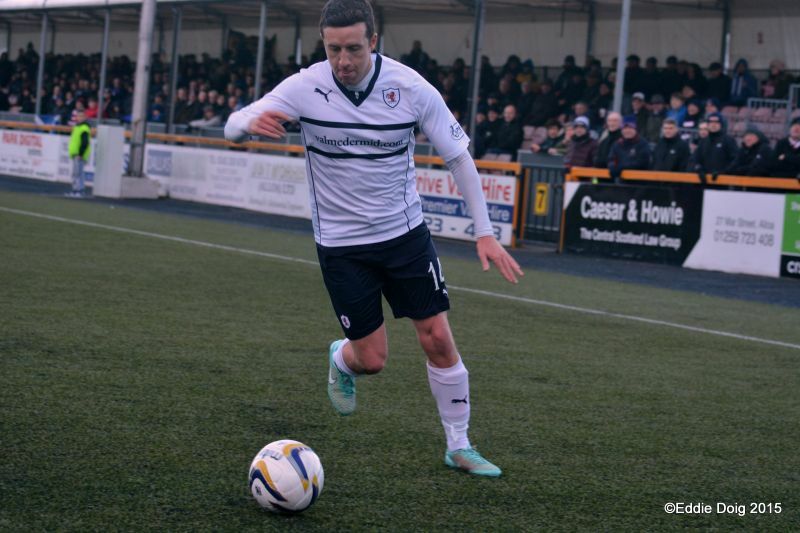 Docherty sees his close range shot blocked by Hill and out for a corner. 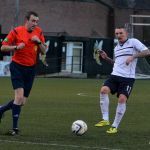 The ref having a word with Simmons and Callachan after a coming together. 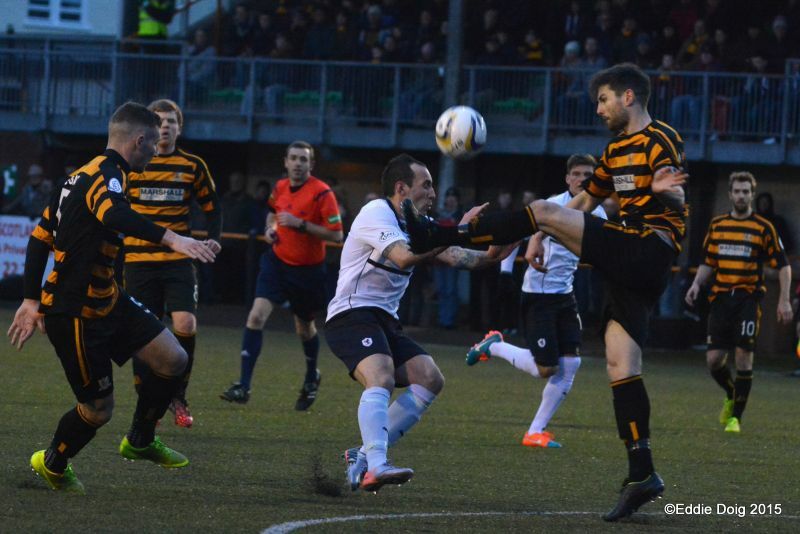 McGurn showing his class, intercepting a cross by Cawley. Anderson takes a knock and goes off for treatment. Despite a limp, Anderson takes to the field. Gordon yellow for a professional foul on Stewart. From 25 yards Conroy sends the free kick over the bar. Great build up in the area, alas Elliot fluffed the final ball. Rovers clear an early corner. Buchannan thought he was in the clear but the ball ran away from him. 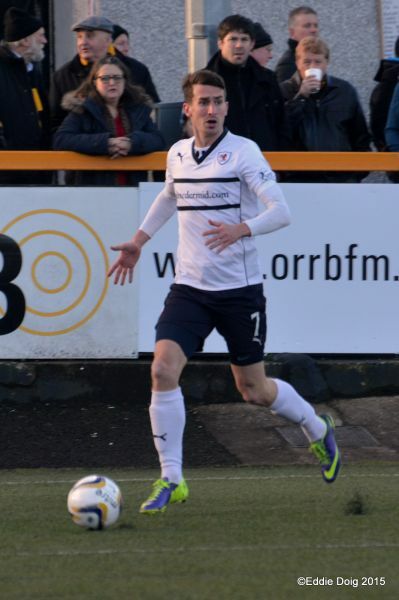 McGurn calming things down, safely catching a dangerous cross. Conroy feeding the ball to Elliot whose shot forces a decent save by McDowall. 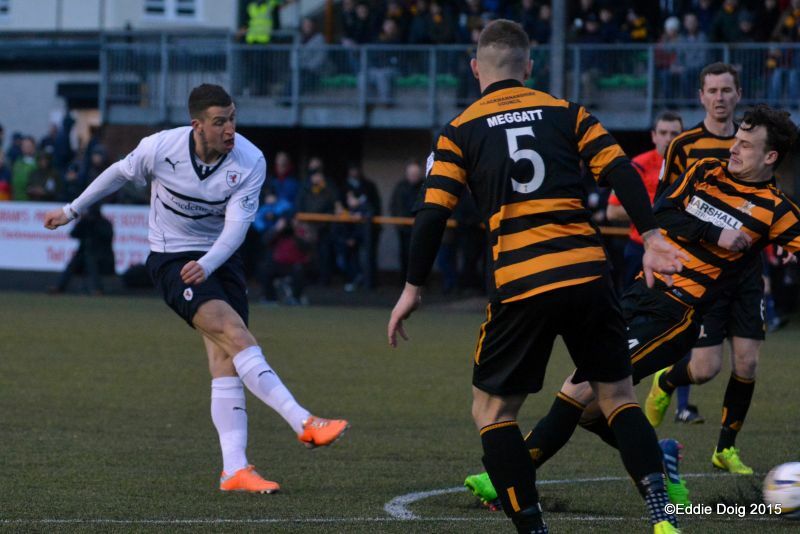 McGurn parries a point blank shot from Doyle. Rovers player receiving treatment on the pitch. McKeown it was, he is limping back on. Simmons picks out Buchannan with a 30 yard pass which is wasted by the latter. 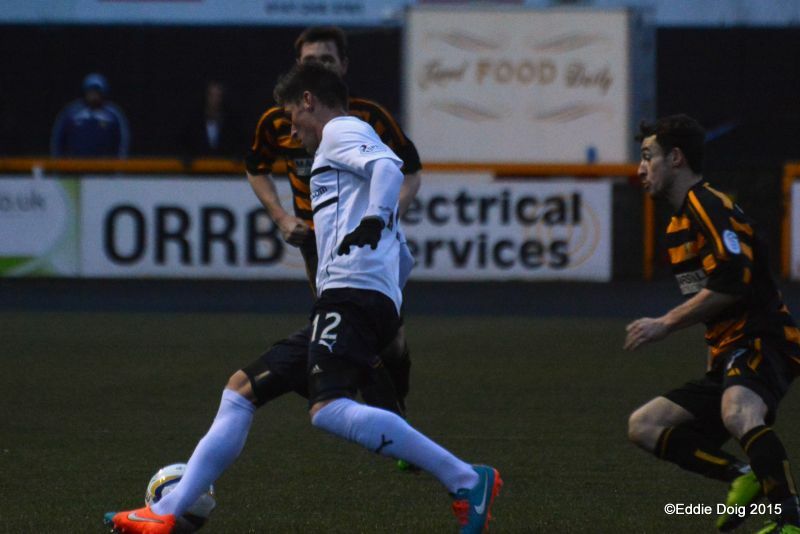 Scott is mugged by Docherty at the halfway line, the same player at the end of a 1-2 nearly scores. McCord launches the ball from 25 yards and watched as it flew over and into the crowd. The ball came out to Callachan from a corner, his shot from waist height is saved by the keeper. Thomson's cross was knocked down to Nade and blocked on the line by Simmons. Nade skins Benedictus and wins a corner. Holmes shoots wide from 20 yards but the ref pulls back play for a foul on Hill. Nade heads over from a corner but is penalised for an infringement. Simmons knocks down to Buchannan, McGurn saved at the back post. Spence thought he was through but fouled McKeowan. Buchannan crosses low to Cawley at the edge of the box but he could only shoot wide of goal. The ball is getting dizzy in the middle of the park. Stewart clears off the line from Doyle. 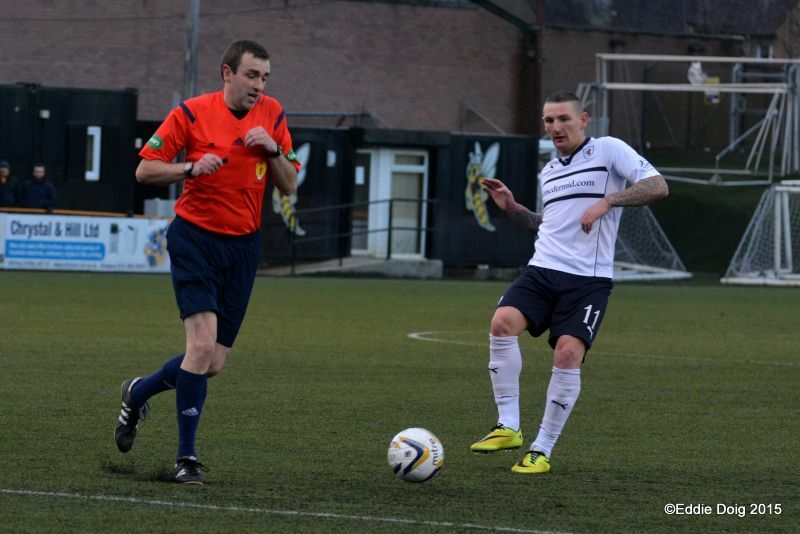 Docherty yellow for a foul on Thomson. Howls from the away support McCord getting away with a hand ball just outside the area. McDowall, Docherty, Gordon, Meggatt, Benedictus, Doyle, McCord, Simmons, Holmes, Cawley, Buchanan. Subs, Tiffoney, Marr, Spence, Hetherington, Layne, Weatherston, Gibson. McGurn, Thomson, Watson, Hill, Anderson, Stewart, Elliot, Scott, Callachan, Conroy, McKeown. Subs, Fox, Moon, Vaughan, McKay, Nade, Barr, Cuthbert. 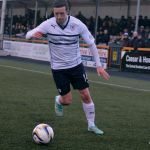 Raith Rovers head to Recreation Park this Saturday, looking for their fourth consecutive league win, a feat they haven’t achieved since the beginning of the 2010-11 season. 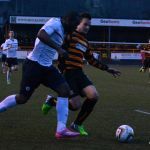 They have enjoyed a slightly longer run more recently, with five consecutive league wins, but they were spread over the end of the 2011-12 season, and the beginning of the 2012-13 campaign. Goals from Ryan Conroy and Grant Anderson helped Rovers to a 2-1 win over Dumbarton last weekend, but they were made to fight all the way for the three points, withstanding a late Dumbarton comeback, that featured a Mitch Megginson goal. 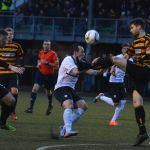 Alloa on the other hand are without a league win since November, but they were unlucky to lose against Rangers last Saturday, where a good performance was ultimately undone by the 1-0 defeat. 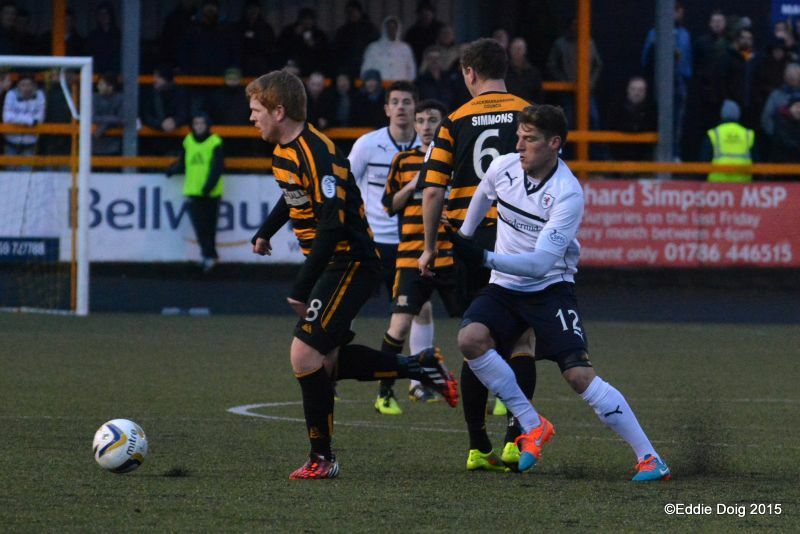 This will be the third time the two clubs have met this season, and Raith have yet to lose against the Clackmannanshire side. Rovers won on their last visit to the Rec’ in August thanks to an early goal from Ryan Conroy, but the points were shared in October, after Grant Anderson grabbed an equaliser, after Liam Buchanan put the Wasps in front. A win for ninth placed Alloa, could see them leapfrog Cowdenbeath into eighth, while a win for Raith Rovers, could potentially see them move to within three points of fourth place Queen of the South, depending on results elsewhere. Games between these two opponents tend to be low scoring affairs, with just seven goals in the last five outings. However, Raith’s recent record in this fixture is impressive, with five wins and four draws from the last ten league meetings.